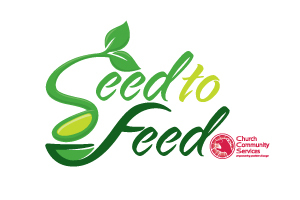 The Seed to Feed Potato Harvest has provided a large amount of Seed to Feed's total poundage of food to the Food Bank of Elkhart County since we began in 2012. The generous farmer who had supplied the potatoes in 2012 and 13 fell ill in 2014 and was unable to continue. A fellow farmer who had worked with him during the first two harvests stepped up and volunteered to let Seed to Feed pick from his fields down in Syracuse. 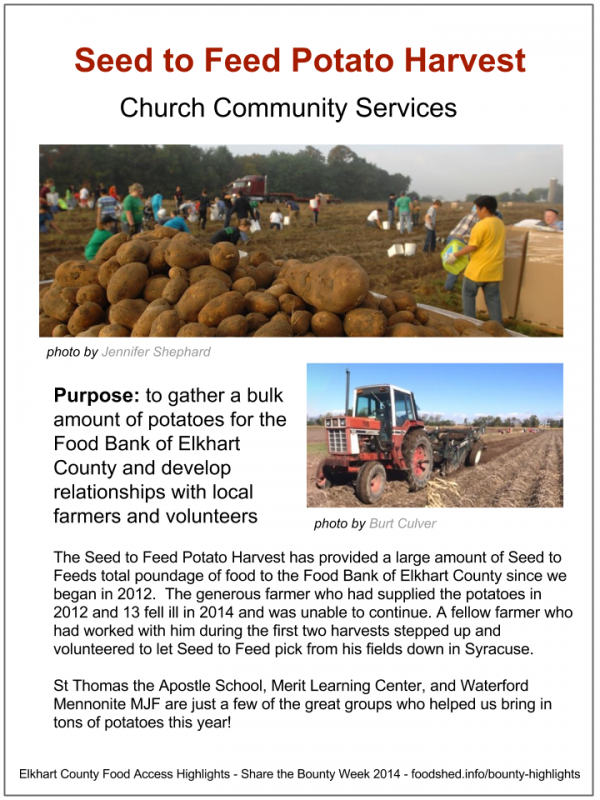 St Thomas the Apostle School, Merit Learning Center, and Waterford Mennonite MJF are just a few of the great groups who helped us bring in tons of potatoes this year!